Below are actual reference quotes from some of the physicians that have worked with us. We will also gladly supply you with additional references and telephone numbers, if you would like to speak to the physicians directly. "Some recruiters wait for things to happen, MD Resources makes them happen!" "We were almost done with our training and we were faced with the choice of finding a position which would give us both a J-1 waiver or go home. It was very important for us to be together and not to be working thousands of miles apart. We talked to a lot of recruiters and the response was discouraging. They all echoed the same thing, that it would be virtually impossible. When we spoke to MD Resources, they were very encouraging and straightforward. They said that it would be difficult, but not impossible. You could tell they were very honest and really willing to work hard to find you a position, unlike the other recruiters we had encountered who would just take your money and forget about you. My recruiter was able to find a position that would take the both of us, which was a great task to accomplish! He really works hard for his clients and spends the time to talk to them throughout the whole process. We highly recommend MD Resources!" "After hearing all the false promises and the greed of many recruiters, I was most impressed by the professional approach presented by MD Resources. My recruiter did an excellent job of marketing my qualifications. He worked with dedication to educate my employers and remove any doubts in their minds about the waiver process. Honesty, dedication and professionalism are the only words that I can use to describe an organization that works in the interest of international medical graduates as well as MD Resources does." "My search for a job in a J-1 Visa area went very smoothly and without major setbacks. It was not because of luck. It was because even before I got the job, I had already made the right choice - MD Resources! They are very efficient and very well informed in their field. They just don't promise you jobs, they make it happen! If I had to do it all over again, I would call MD Resources for their expertise." 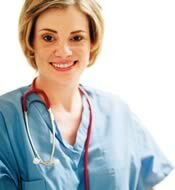 "My experience with MD Resources has been a very pleasant and rewarding one. Not only were they able to help me obtain a J-1 waiver opportunity in the extremely limited amount of time that I had left after a couple of very disappointing experiences with other recruiters, they were also able to help find a job opportunity for my wife within the same area, enabling us to stay together. MD Resources is definitely a company you can count on to do their utmost to help you look for a job and he will follow through until your contract is signed and sealed!" "Looking for a J-1 waiver job was one of the most difficult tasks I have had to undertake. MD Resources came through and found me a great job! They made sure that the area was underserved and I was eligible for the State 20 program. That was the kind of reassurance I needed." "My husband and I are both pediatricians. We desperately searched for months to find practice opportunities that would accommodate us because I had a J-1 Visa. We wanted practice opportunities that would not physically separate our family. Needless to say, we became very frustrated and had no success, until MD Resources offered to assist us. They worked very hard to find us good positions where our family could stay together. We were very pleased with their commitment and we would highly recommend his company!" "My recruiter was a sincere and honest man with excellent ethical values. The consultants at MD Resources are very professional, and they were able to find my dream practice location, as well as assisting me throughout the immigration process. I whole-heartedly recommend any physicians with a J-1 Visa to get professional assistance from MD Resources, and you can rest assured that you will be getting top-notch service. I am extremely pleased with their services and feel certain the will continue to provide excellent service in years to come." "Honesty and integrity are two attributes very seldom seen in most J-1 Visa physician recruiters. I am pleased to say that my experience with MD Resources, Inc. have been exemplary and outstanding. I never got the kind of sales pitch and hard sell promises that invariably accompanied those other recruiters. They were forthright with their references and when it came down to the actual work, they were indefatigable. If there was one who truly advocated for my interests, that would be my recruiter. Needless to say, he does a very good job. And thanks to him, now I have a very good job." "MD Resources, Inc. is a capable and efficient company. Within a short time, my consultant found me a position in a nice community in Maine. My consultant helped me a lot, not just by finding me an interview, but by guiding me through the whole process. Being on a J-1 Visa, I was ready to accept whatever an employer was willing to offer me. MD Resources helped negotiate my contract and I received an offer I never expected! I am very thankful to MD Resources for their excellent assistance and would highly recommend MD Resources to anyone." "When we were under time pressure to find Iyad a job that qualified for a J-1 waiver, MD Resources was very accessible and helped us find a job within one month! My consultant was very friendly and frequently called with updates on our situation. One year later when we needed to find Colette a practice opportunity, he was again successful in finding her a practice that fit her goals as a physician. We highly recommend MD Resources as a recruiter."